Betz will lead the telecommunication company's corporate security, information security and security product development teams. "Customers rely on CenturyLink to help them protect their homes, their businesses and global critical infrastructure," said Aamir Hussain, executive vice president and chief technology officer for CenturyLink. "Chris brings a wealth of knowledge informed by the right mix of experience, from his service in the United States Air Force to overseeing product security for one of the world's foremost brands." Previously, Betz led security for Apple products and has held leadership roles in information security, security operations and response and security intelligence at Microsoft, CBS Corporation and the National Security Agency (NSA). Montoya is responsible for overseeing information security technology and programs and managing risks related to confidentiality, integrity and availability of systems and data at Digital Realty, a provider of data center, colocation and interconnection solutions. He reports to Executive Vice President, Operations Erich Sanchack. "Michael brings a unique combination of operational and strategic expertise to his new role at Digital Realty and we're excited to welcome him to the team," said Sanchack in a press release. "Michael has extensive experience overseeing global, full-spectrum cybersecurity programs, including managing the demanding and complex requirements of hyperscale cloud providers. This experience will prove invaluable as he helps us to ensure our security resources are aligned to drive the success of our customers. " Montoya has held a number of executive leadership roles in the technology and cloud industries. He most recently served as chief cybersecurity officer at Microsoft, where he led security initiatives and operations for the development and delivery of Microsoft cloud security products and services. Prior to Microsoft, Montoya served as vice president of cloud and managed services at FireEye, where he led cloud-security operations and redesigned the company's global data center infrastructure to improve performance and security. He has also held leadership positions at EMC Corporation, Avanade and INC.
Miller will report directly to club President Mark Donovan and will be responsible for developing and managing all safety and security plans and programs for all facets of club operations, including facility security, event day safety, vendor-operated security and traffic procedures, as well as team security. He will also serve as the primary liaison between the club and the National Football League office with regards to all security matters. Miller joins the Chiefs with decades of experience in both private security roles and public law enforcement service. In total, Miller spent eight years at the National Football League office in New York, serving first as director of strategic security programs and later as senior vice president and CSO. As CSO at the NFL, Miller led and supervised all aspects of security for the league. Prior to joining the National Football League, Miller enjoyed a 24-year career in public service with the Pennsylvania State Police Department (1984-2008) across multiple bureaus, sections and divisions. As vice president of cyber strategy, Gagnon is accountable for developing and leading cyber strategy and guiding its execution across MITRE’s work program. As CSO, Gagnon is responsible for MITRE's cybersecurity and physical security. "As the challenges and opportunities in cybersecurity grow in complexity, MITRE’s leadership becomes more important to our nation, and I am pleased to welcome Gary back to The MITRE Corporation to direct our efforts," said MITRE President and CEO Jason Providakes in a press release. "Gary’s deep mission expertise and leadership working with industry, academia, and government are essential skills to deliver on MITRE’s mission to solve problems for a safer world." 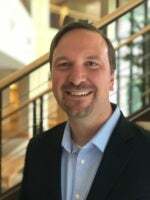 Gagnon rejoins MITRE after most recently serving as vice president and CISO at Amazon. Before that he was at Inmarsat as senior vice president of global security and CISO. Gagnon worked at MITRE for 30 years in many leadership roles including CSO, vice president of the National Cybersecurity Federally Funded Research and Development Center, and senior vice president of intelligence programs. Sauer, who most recently served as vice president of trust and information security at Salesforce, brings 25 years of experience in information security to Blink, which offers a pharmacy app to make prescription drugs more affordable. That experience includes having served as the CSO of Skype from 2003 to 2008. 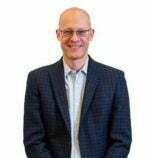 Sauer’s hiring rounds out Blink Health’s leadership team. The company recently appointed several other renowned executives with decades of combined leadership experience in the pharmaceutical and consumer e-commerce categories. These hirings were made as the company continues to invest in its technology platform and service expansion. In a company-wide email sent to employees, Uber Chief Legal Officer Tony West announced that Olsen would join the company as chief trust and security officer starting in mid-September. Olsen had already been working with Uber as an advisor to help assess the organizational structure and strategy of Uber’s security teams. “Matt has an incredible background and is deeply respected across industries, having co-founded a cybersecurity firm and served as the director of the National Counterterrorism Center, the general counsel of the National Security Agency, and in leadership positions at the Department of Justice and the FBI,” said West in the email. West noted the importance of adding the word “trust” to Olsen’s title. “As I’ve said before, earning and maintaining trust is an essential ingredient to our brand proposition, and it’s everybody’s job. That’s particularly true when it comes to handling our riders’ and customers’ data, and our success in that task is core to our Security team’s mission. Given Matt’s experience in and passion for strengthening the nexus between trust and security, I know he’ll make great contributions to our becoming one of our industry’s most trusted brands,” he said. Herzog, a well-known white-hat hacker, is respected worldwide for his work with IBM’s Ethical Hacking team, in creating the Open Source Security Testing Methodology Manual (OSSTMM), and for creating Hacker Highschool, the world’s most popular cybersecurity and cyber-safety textbooks for teenagers. Hilltop Cybersecurity has long supported the latter two projects and has integrated OSSTMM research into its products with the help of Herzog. Puhlmann will become part of cloud communications platform providerTwilio's executive management team and will oversee the company's global trust and security programs. "At Twilio, trust is the number one thing we sell, so being a leader in security, data protection, and compliance is paramount for the millions of developers who use Twilio to power mission critical business applications," said Jeff Lawson, Twilio co-founder and CEO, in a press release. "Nils is a 20-year security veteran with significant experience in diverse business environments with tremendous passion for building trust amongst our developer community, while keeping their data secure. We are thrilled to welcome him to the team." The Twilio security framework is based on the ISO 27001 Information Security Standard. In addition to ISO 27001 certification, Twilio has also achieved SOC 2 attestation for Authy, and Twilio is self-certified to the EU-US Privacy Shield as well as the Swiss-US Privacy Shield Frameworks. "At Twilio, we're committed to upholding the high standards of security and data protection, which are reflected in the investments we've made in these two mission-critical areas. After serving as an advisor for many years, I'm joining Twilio because security is a priority for the company," said Puhlmann in a press release. "I'm excited to continue to build our teams and capabilities to support our vision of becoming a leader in trusted communications." Puhlmann has served as an advisor to Twilio since 2014. Previously, he served as the CTO of Endgame, and has held CSO positions at Zynga, Qualys, and Electronic Arts. He also co-founded the Cloud Security Alliance nonprofit organization, which promotes the use of best practices for security assurance within cloud computing. With a specialty in financial services, Manda brings 15 years of cybersecurity governance, architecture and operations experience. He has previously worked in cybersecurity operations with Citigroup and TD Bank. More recently, he led security architecture and engineering teams at Juniper Networks and Fortinet. Manda has a strong background in security strategy, governance, architecture, automation, machine learning, and product security. “One of the reasons I am especially excited to join AlphaPoint is that it’s clear that the company already prioritizes security — internally as a company as well as for its customers. For example, their partnership with Intel offers a trusted security-focused solution backed by Intel's Software Guard Extensions (SGXs),” said Manda in a press release. “There is a lot of scrutiny around hacks and lost funds on cryptocurrency exchanges, and we do not take this challenge lightly. We work every day to protect our clients and ensure the safety and security of our products and customers through multilayer cybersecurity, physical security, and operational best practices. Sri coming on board doubles down on our commitment to be a security first company,” said AlphaPoint co-founder and CTO Joe Ventura in a press release. In addition to managing Cloud Computing Concept’s (C3’s) internal security and compliance activities, Scheidell will assist in the continued development of technology and communications services provider’s rapidly expanding portfolio of security products and services. New services immediately available to clients include on-site security consulting, managed network security, penetration testing, vulnerability assessments and security awareness training. Respected throughout the security community, Scheidell is a Certified CISO, president of the South Florida Chapter of the Cloud Security Alliance, member of the FBI’s InfraGard, member of the US Secret Service Miami Electronic Crimes Task Force, and a senior member of the IEEE. His expertise in Security, Corporate Information Risk Management, and Privacy has been relied upon by multinational corporations, government agencies, critical infrastructure providers, and healthcare organizations.